Our graduates work at private and public middle and high schools, financial institutions, the Rock Island Arsenal, and many more. 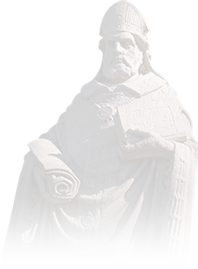 At St. Ambrose, you won't passively attend classes taught by graduate teaching assistants. Instead, you'll work with talented faculty dedicated to guiding you towards mastery of the knowledge, skills, and tools you'll need to reach your goals. Courses include Calculus and Analytic Geometry, Logic & Proof, Modern Probability & Statistics, and Ordinary Differential Equations. 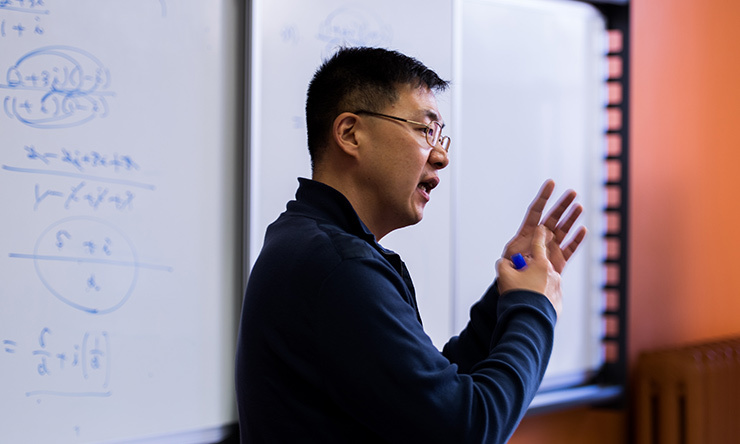 In our Topics and Mathematical Computing courses, you work one-on-one with faculty on research and analysis projects. Do you want to stand out to employers or in graduate school admissions? If so, intern. The American Mathematical Society maintains a list of available summer research experiences for undergraduate mathematics majors. The American Statistical Association maintains a list of available internships in statistics. 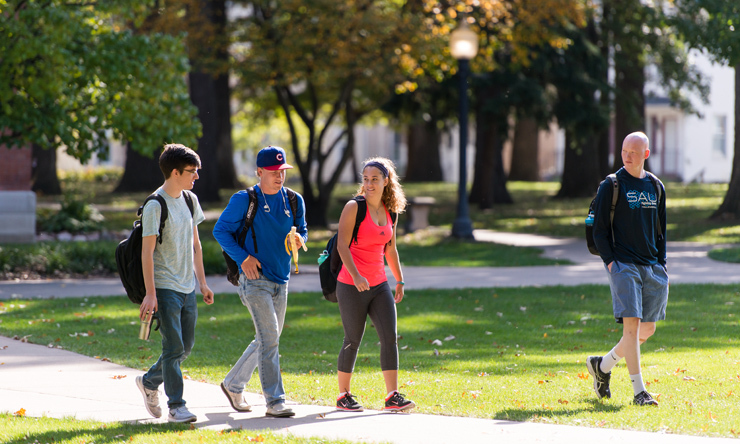 In addition, your professors and the SAU Career Center will help you find an opportunity that fits your goals. If you want to further specialize your skills, we recommend a dual major. We have programs in finance, computer science, biology, chemistry, engineering, and others that will open up even more post-graduate opportunities. Students who combine a mathematics major with a secondary teaching endorsement can teach middle or high school. Many of our graduates find immediate employment as secondary math teachers. A Mathematics major gives you immediate options for jobs in actuarial science, business analytics, and data science. Other career fields include biostatistics/biomathematics, business intelligence, mathematician, operations research, and statistician/data analyst. If you combine a mathematics major with a secondary teaching endorsement, you can teach middle or high school. Many of our graduates are immediately hired as secondary math teachers. Many of our students advance to graduate programs in Measurement & Statistics, Neuroscience, Mathematics, and Mathematics Education. Two graduates went on to earn PhDs and now teach in our department. According to the Bureau of Labor Statistics, a graduate degree can lead to substantial financial success. In 2016, the median salary for a mathematician was $105,810 and for a statistician was $80,500. Employment for mathematicians is expected to grow by 21 percent, and for statisticians grow by more than 34%, through 2024. Angelica Rankin '15 transferred to SAU to complete her Teacher Education (5-12) and Math degree. She completed her PhD studies at the University of Iowa and now is the Associate Director of Project Lead the Way. 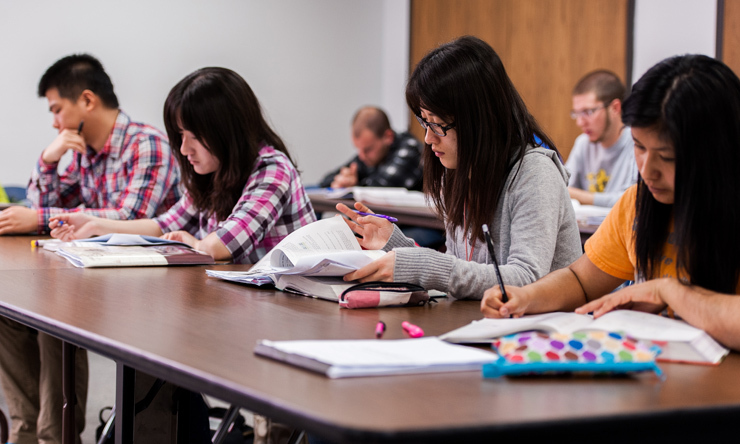 Complete required coursework in the Teacher Education Program. This is the suggested plan for students to graduate in four years with a degree in Math. This plan assumes the student has not taken three years of foreign language in high school. *Needs prerequisite. See Course Catalog for details. A minor in math consists of computational and theoretical courses. A minor in statistics consists of math and applied statistics courses.